Karen received her BA from UC Berkeley as a longtime student of Serban Rusu of Tiburon, then continued her studies as a recipient of a Hertz Traveling Fellowship at the Konservatorium für Musik Bern, Switzerland as a student of Professor Igor Ozim. 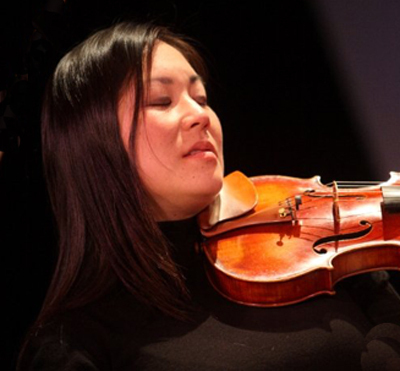 She has been a member of the New Century Chamber Orchestra since its inaugural season. A familiar face in the San Francisco Bay Area music scene, she also performs with the Santa Rosa and Marin Symphonies and as an extra in the San Francisco Ballet Orchestra. She is also a frequent chamber music collaborator, appearing with diverse groups including the Santa Rosa Chamber Players, the Berkeley Contemporary Chamber Players, Music at the Mission, the Sor Ensemble, and the Worn Ensemble. Karen is also a member of the Skywalker Symphony. Karen serves on the music faculties at the University of California, Berkeley and at the Marin Music Conservatory.